Maybe you don't crave cinnamon as much as I do during fall, because all I want are cinnamon-y things like this pear crostini right now. This recipe is definitely 100% autumn on a toast. This crostini works with both unripe or overly ripe pears, because you cook them down with plenty of cinnamon + butter. This is also the perfect thing to make when you have a little bit of cream cheese leftover from a brunch or maybe when a bagel + lox craving hit. It comes together quick + will be gone quicker if you're sharing 'em. What are you craving this fall? The recipe is below if you want to give this a try! Start by sautéing the pears. On medium heat add the pears, lemon juice, cinnamon + butter. 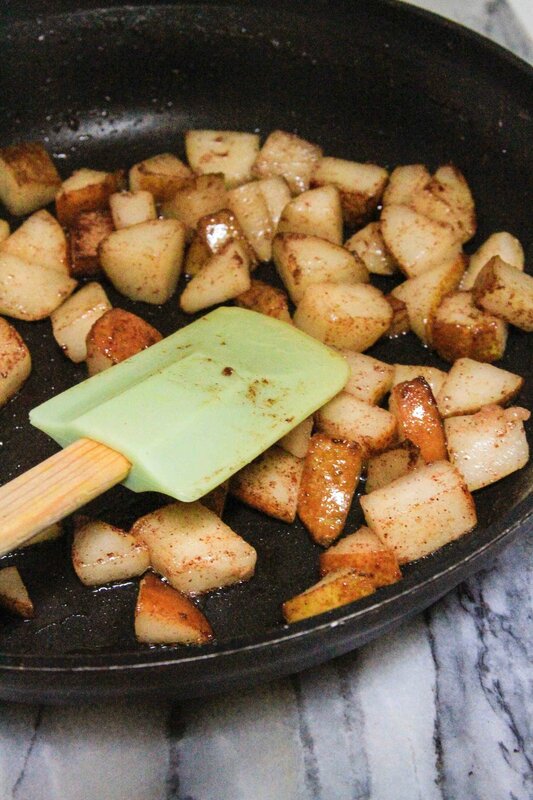 Stir the pears until the butter melts and the pears are coated with cinnamon + soften. It's not an exact science, so cook the pears to your liking. Longer for softer pears, or shorter for crisper pears. Set aside. In a small bowl, combine the cream cheese + powdered sugar. Set aside. Heat a griddle pan on medium heat. Coat both sides of the baguette slices with olive oil. Place the slices on the griddle, allowing them to toast on both sides until golden brown. 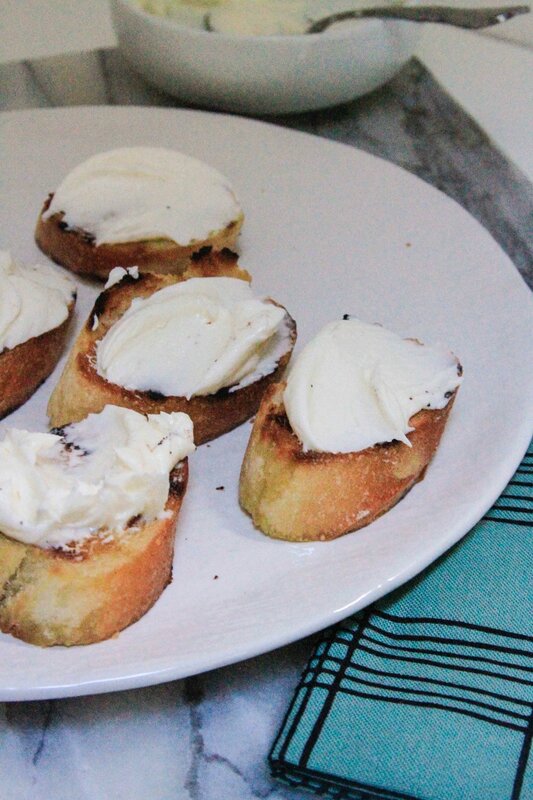 To serve, add a swipe of the cream cheese mixture to each slice of baguette. Top each with a scoop of the pears. Dig in.